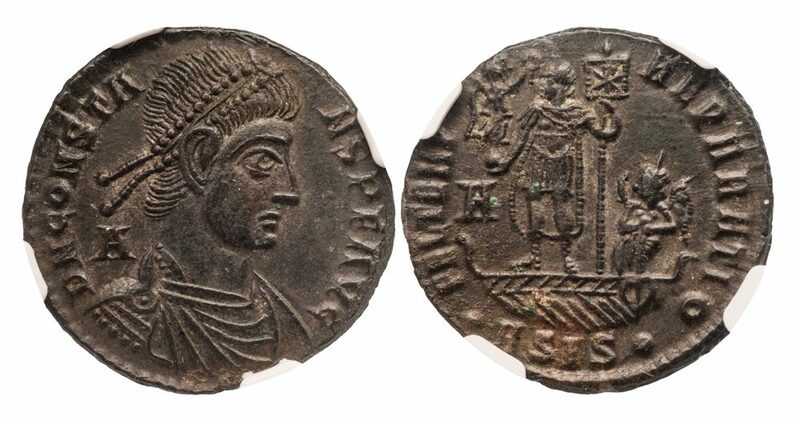 Billon Centenionalis, 5.76 g., 23 mm., minted ast Siscia. Obv. Diademed, draped and cuirassed bust right, A in left field. Rev. Emperor standing left on ship holding labarum and Victory on globe, Victory behind, steering ship. 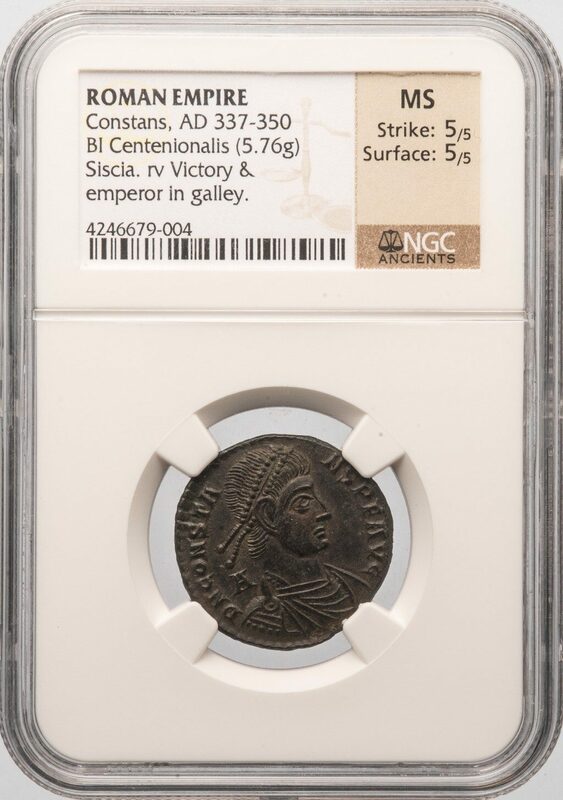 NGC graded MINT STATE, Strike 5/5, Surface 5/5, well struck and rich in detail.